I bought my son the UV-3R and we like it. 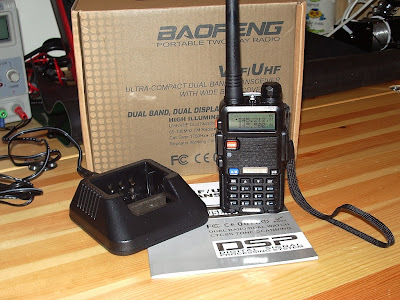 A question about the UV-5R, does it receive wide-band stuff like my Yaesu VX-3? I like the fact that the Yaesu can listen to shortwave, and just about anything else. No, the UV-5R can only receive on the frequencies it can transmit, i.e. 136-174MHz and 400-470MHz, and receive only FM radio 88-108MHz. Thanks, Julian. I appreciate it. I JUST CANT DO BUSINESS WITH CHINA . I AM ANTI COMMUNIST . MY HF SET IS 100% USA MADE. THE HT AND MOBILE RIGS ARE KENWOODS AND YAESU . MY FRIEND HAD THE FIRST UV-3R SERIES , I DONT THINK HE EVER USES IT . HE CANT HIT THE LOCAL REPEATER , SO IT IS A LISTENING POST ONLY . 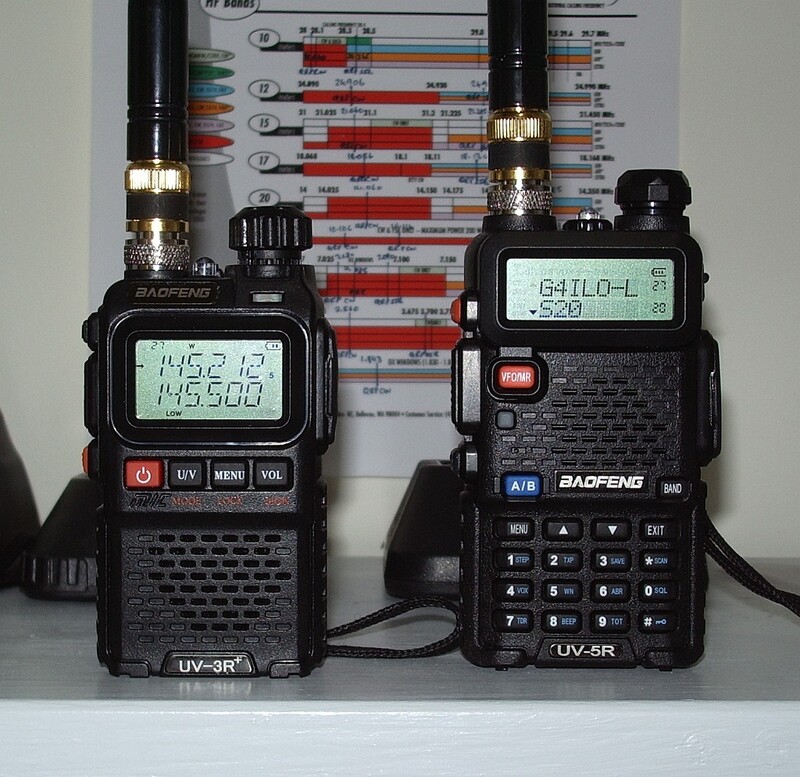 GOOD LUCK WITH YOUR ELECRAFT KX3 AND WITH THE NEW UV-5R . WAITING FOR THE OLYMPICS TO START . I didn't find the UV-3 hard to program manually, but after I got the programming cable I did all my programming from the PC. When the 5R came I transferred all the memories across using the software so I have no experience of what it is like to do it manually! I sold the UV-5 as I had problems programing it, just like I did with the UV-3. Did hear back from the individual you bought it, that he had trouble with most of his computers and pulled out an old laptop with XP and was able then to program the radio. Despite reading any thing I could find on programing the radios manually, I could not get either radio to work. The VHF and UHF bands for now will just have to get along without me.